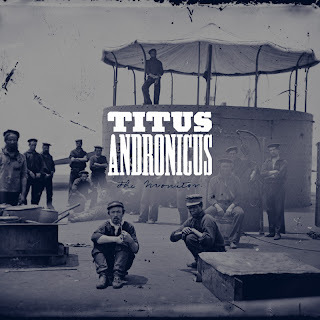 Today I am writing about one of my favorite new albums of 2010: The Monitor from Titus Andronicus. How could I not like an indie rock/punk album that is loosely based on Civil War imagery and themes? 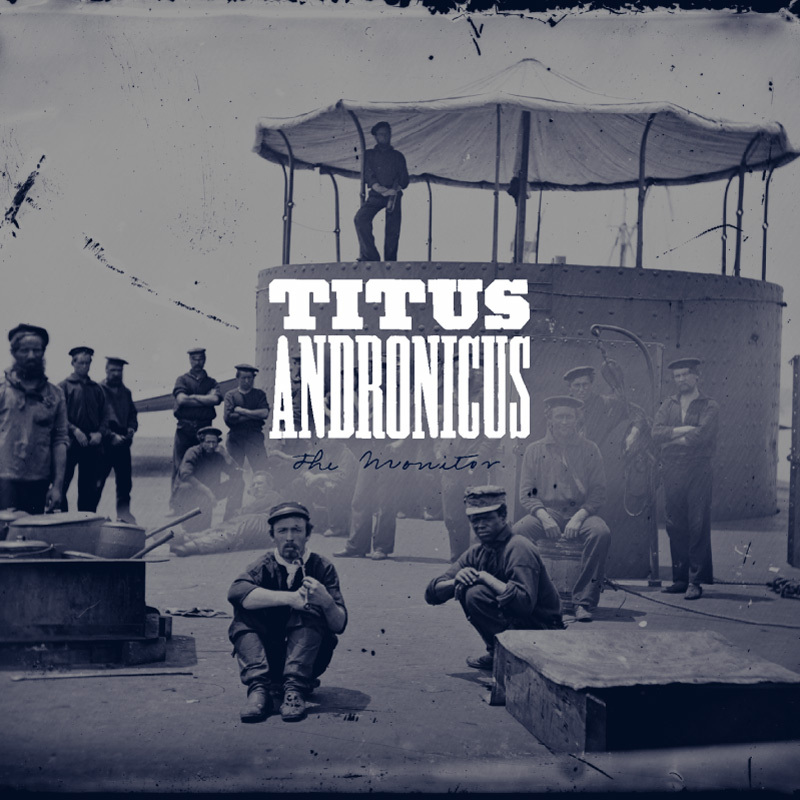 Titus Andronicus is a New Jersey band that has been around since 2005. Do not think they are a bunch of pompous a-holes because they took their name from Shakespeare’s play, or because of this album’s subject matter. This band is high-energy and really fun to listen to, mostly because of frontman Patrick Stickles. I found out about them when I saw them perform on Late Night with Jimmy Fallon. The Monitor is their second album, and it has gotten very good reviews since it was released in March. For those of you who do not remember your old history classes, the USS Monitor was the first ironclad ship of the United States Navy. Like I said, The Monitor album draws inspiration from the Civil War, which is maybe one of the biggest bags of inspiration you could dig around in. But this is not a Civil war album. There is some period spoken word and imagery, but it mostly seems to be angst-ridden New Jerseyites having a good time and exorcising their emotional demons at the same time. It seems that every war reference should be interpreted as current day issues experienced by Stickles. And, my god, Stickles sure seems to channel some Springsteen. His phrasing and voice have some distinct similarities. 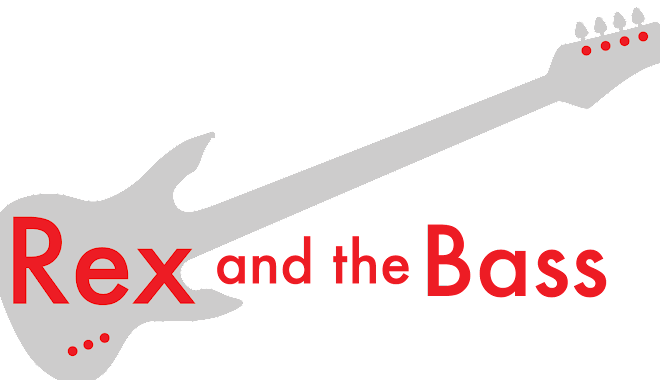 Taking it a little further, the opening song (“A Perfect Union”) actually paraphrases Bruce’s lyrics, and they give him a shout-out in the finale. And do not take this as a bad thing, I think it is awesome. Also awesome is the way The Monitor build to the finale, travelling though a waltz, some drinking songs, some Irish jigs, punk rock anger, and finally, the bagpipe solo. As a bonus, there are guest appearances by members of Ponytail, Wye Oak, Hallelujah The Hills, Spider Bags, Vivian Girls, and The Hold Steady. The Monitor is worth every penny, and I recommend downloading it today. It is 65 minutes of pure self-indulgent goodness. One warning, though: don’t play “The Theme from Cheers” around little children.